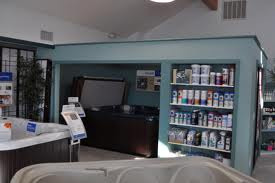 Thinking about purchasing a hot tub and not sure where to start? We are here to help make that choice easy!!! Question #1: What do you want to use the hot tub for? We have had more than one person come into our store looking for a hot tub and they have no idea exactly what they want in a hot tub. Some people use them for relaxation while others use them for therapy. Some hot tubs have “hot bubbly water” while others are more “hydrotherapeutic”. We have found that most people want a hot tub. Getting older is not for wimps!!! A hydrotherapeutic hot tub will not only help ease your aches and pains but it can help with many medical problems such as arthritis, fibromyalgia, diabetes, and leg cramps. I have even heard of someone using it for cerebral palsy!!! You should ALWAYS ask your doctor before using one. Question #2: How many people will be using the hot tub on average? Most people do not want to get a HUGE hot tub if only 2-3 people are going to use it. Hot tubs can hold from 1 person to 10-12 people! You do not want one that will be to big for you and your family. Question #3: Where is the hot tub going to go? Look at the area where you want the hot tub to go. It is going to be the center piece of an outdoor room? Do you want to put it on a deck or patio? Do you want to incorporate it into your swimming pool area? You should make sure you have the dimensions of the area where the hot tub is going to go. Some people bring us drawings of the area and we have helped them find one that is a perfect fit! If it is going on a deck you should make sure that the deck is reinforced to handle the weight of the hot tub. Question #4: What type of seats are you looking for? This is usually the hardest question for homeowners to answer. Why? Most people do not know the type of seats that are available. Some hot tubs have all bucket seating, some have a lounge chair and bucket seating, some are just one big bench seat. Take some time and sit in the hot tubs and see how they feel. Not all hot tub seats are right for everyone. Some hot tubs are not even built for tall people! If you have short, average and tall people in your family you want to make sure everyone has a seat that will fit them. Question #5: What type of warranty does the hot tub have and who is going to fix it if something should happen? When asking about the warranty be sure to find out if both parts AND labor are covered for the whole warranty. 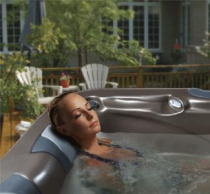 We have found that many hot tub manufacturers will cover labor for the first 90 days. Read the warranty and make sure you understand it. Many people forget to ask who will do the work if something should go wrong. You want to make sure that the people who are selling you a hot tub are the same ones who are going to come out and fix it for you. Do they contract the work out and you have to file all of the paperwork or will the company do that for you? Now that you have found the perfect hot tub for you and your family what is your next step? MAKE SURE YOU TAKE THE HOT TUB FOR A TEST SOAK!!! If you are not offered a “wet test” the company is not doing you any favors! We have had customers pick out one hot tub, try it out and then decide it just didn’t fit them the way they wanted it to so they ended up with a different one. Last but not least – Are you comfortable with your sales person? Have they taken the time to really get to know you? Have they answered all of your questions? You should never feel pressured into purchasing a certain hot tub. It should be a very enjoyable experience.